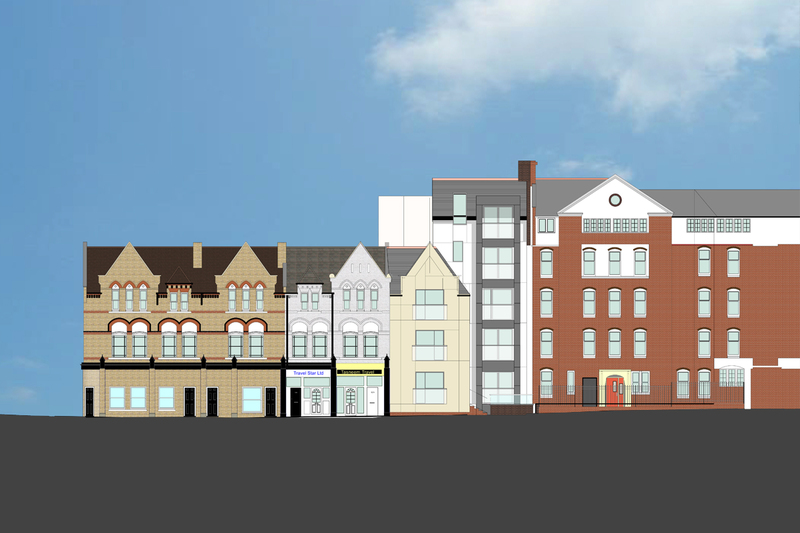 The proposal is for the redevelopment of the site by the demolition of the existing buildings and the formation of a new 53 room hotel which fronts onto both Chalton Street & Churchway. 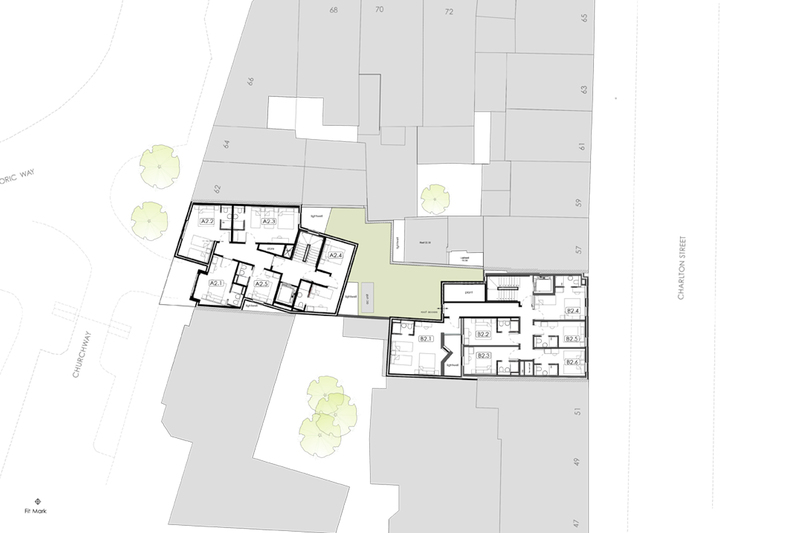 The new hotel will have a gross internal area of 1579m2, this is provided over 3 and 5 storeys at different locations over the site. 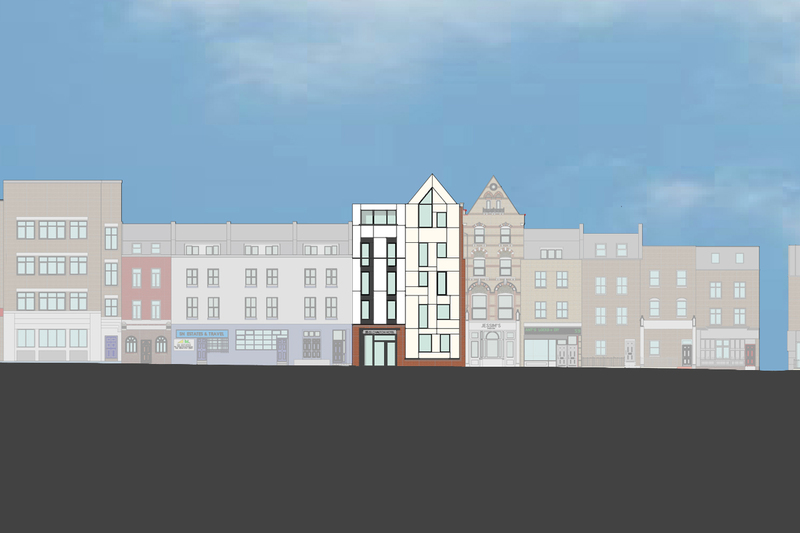 This proposal will compliment the wider Somer Town area by providing tourism development and visitor accommodation. 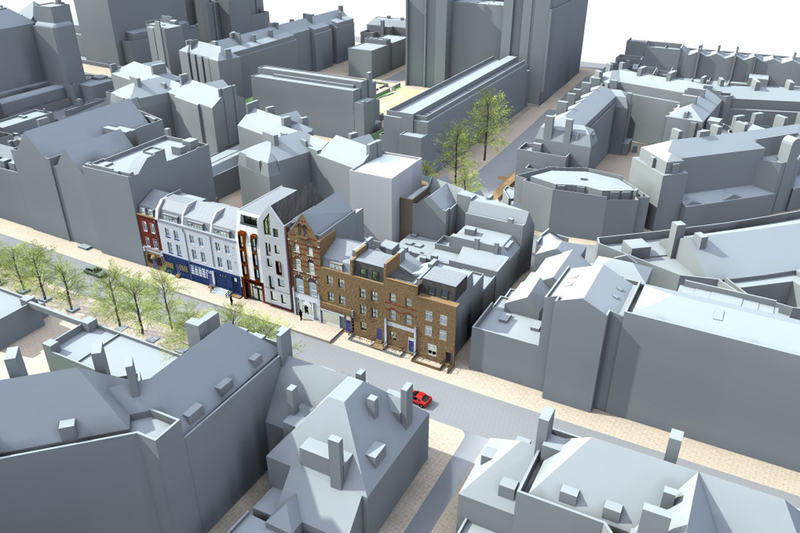 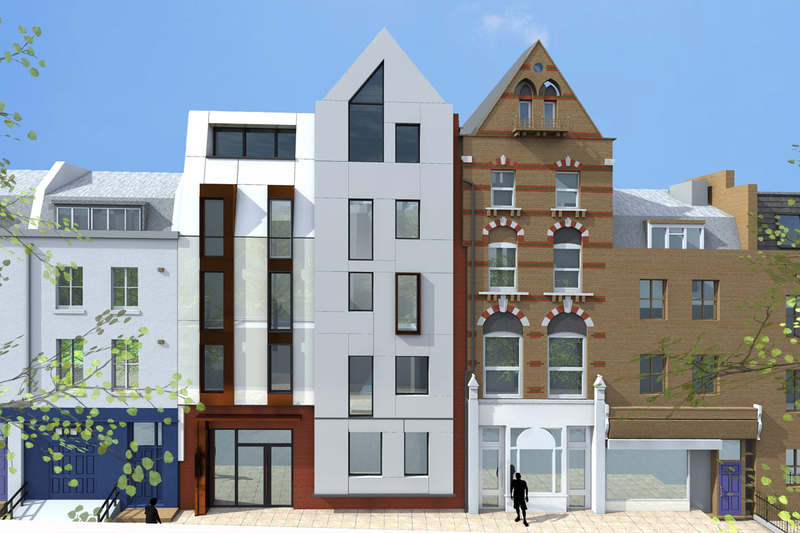 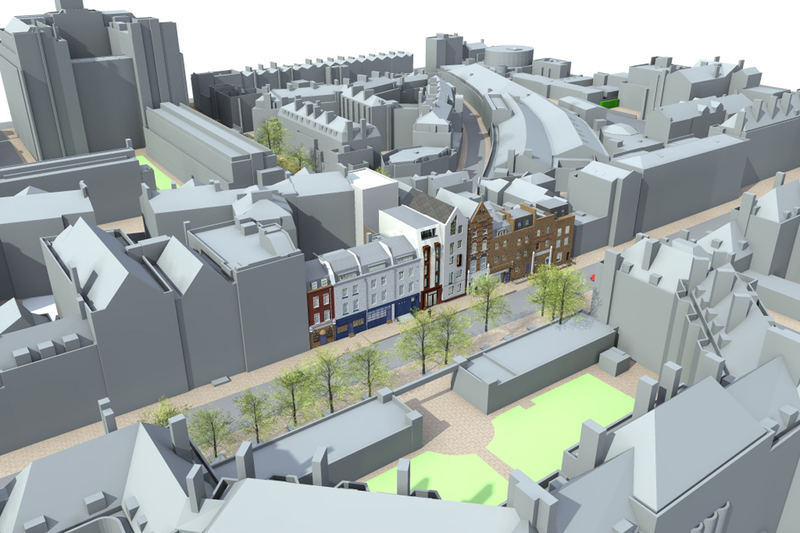 The concept is to reinstate a sympathetic architectural form to both the Chalton Street frontage and the Churchway frontage that successfully rebuilds the street scene providing continuity to the rhythm of the overall street elevations, an improvement to the existing buildings.